Back to work, then off to Banff. 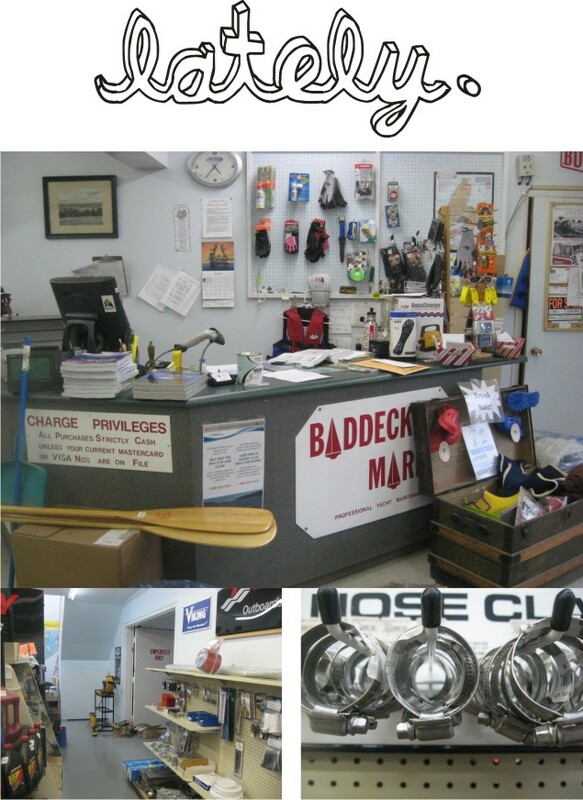 This is where I work, Baddeck Marine. I was laid off for the winter, but then they hired me back for the summer. I started this week. I work in the store – technically I’m the “store manager”, but I am the only store employee, so I manage… myself. I can be pretty hard to deal with sometimes, though, so I guess the title is justified. Ha. Anyway, I’ve been pretty busy, repainting the store floor, which we’ve done in sections – hauling and moving all the stuff from one section over into another, then painting it, then waiting a day for it to dry. Then moving the stuff around some more, etc. All of this while the regular store activity goes on, like people coming in looking for stuff. It’s a little chaotic! But, it’s all coming together. It’s good to be back to work. Tiring, yes. And, I don’t have as much freedom (time-wise) as I did when I was on EI, but… the trade-off is that working, and having a job to go to, is definitely good for the psyche. Anyway, next week in Banff, people representing all sorts of different literary festivals across Canada are meeting up to talk about, well, literary festivals. On the agenda: fun, interesting topics like how to get funding, and what sorts of partnerships we can form with each other. I’m a total networking nerd, so I’m really looking forward to this. The festival I’m part of is run by five volunteer board members who sit around the kitchen table of two of the members for our meetings. Not exactly glamourous! The other four had their own reasons for not wanting to go, and I very much DID want to go (hello! it’s Banff! And a plane ticket paid for by Canada Council funding! ), so it all worked out. It’s kind of funny to me that a few weeks ago I was in Toronto and now I’m off to Banff, because I really don’t see myself as a “jetsetter”. In fact, there have several-year-long blocks of my life where I didn’t take a plane anywhere, and a big part of me hates flying, mostly because of the pollution. But, on the other hand, I do love to travel and see new places. And I do love the challenge of packing well, even though I usually completely OVERpack. And I get a real thrill out of takeoff and landing – it really is amazing every time! Oh yeah, and, I even bought myself a suitcase! No more of this annoying having-to-borrow-my-boyfriend’s-suitcase thing. Or of using my backpack from the days when I travelled to Australia and New Zealand. Now I’ve really arrived, haha. My own little four-wheeled suitcase! And when I’m not working, these days, I’m at home rocking the cotton leggings and oversized hoodie, yeah. And eating delicious stir-fries for dinner. 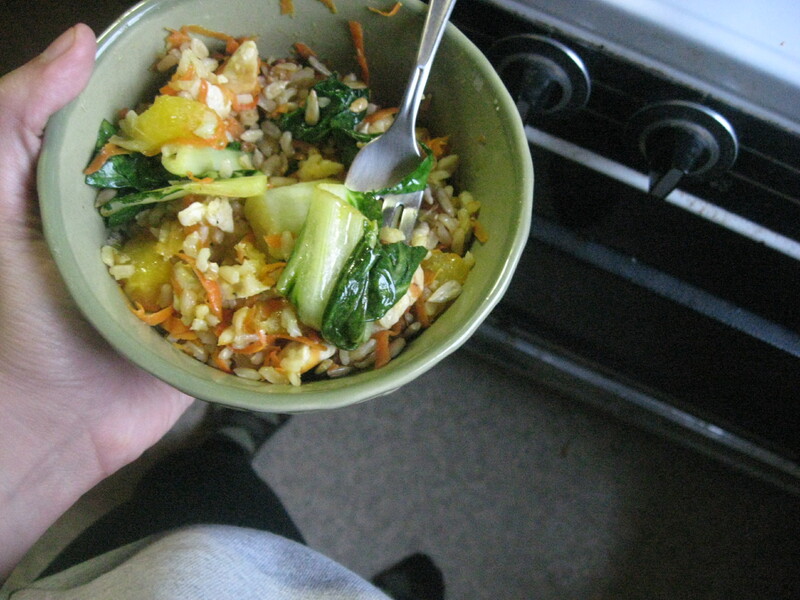 Yay for bok choy and carrots! 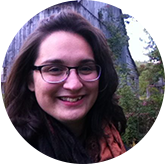 This entry was posted in Uncategorized and tagged Baddeck Marine, Banff Centre, Cabot Trail Writers Festival, Kate Beaton. Bookmark the permalink. 6 Responses to Back to work, then off to Banff. And did I mention, Leah, I am so glad you are here : ) As always, I enjoyed reading your blog. Keep up the good work, Poopsie! You’re the best, Flossie! I love seeing your sunshiney face every day at work. As your personal tour guide for Banff. I pack very lightly!! Also go to my Irish pub while your there!!! Will do! Wish you could come with me! !